This error can be solved by configuring your computer to connect directly to the Internet or by disabling the use of a proxy server while activating your license. 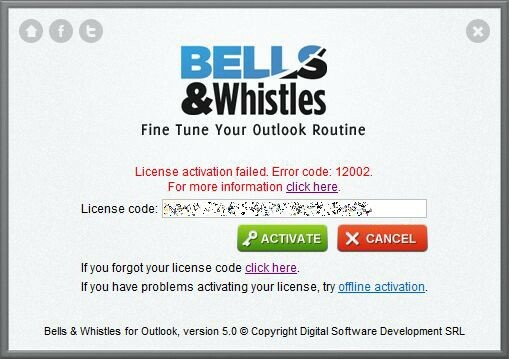 If the above solutions are not working, you need to click on the “offline activation” text link displayed just below the license code box, as in the above screenshot. Once you clicked on the “offline activation” link, you will be prompted with the screen from below. 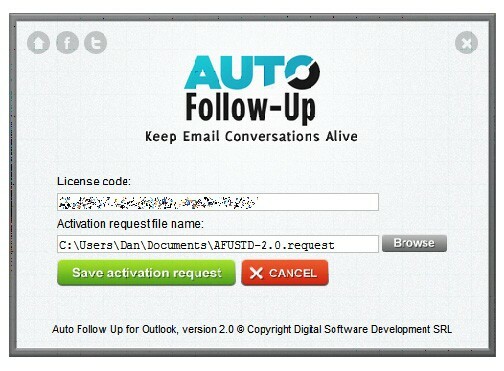 Click on the “Get activation request” button, enter your license code then click on “Save activation request” – the program will generate a file on your computer (the file will be saved to the location you specified). Once the license file was created, the program will return to the main offline activation window. 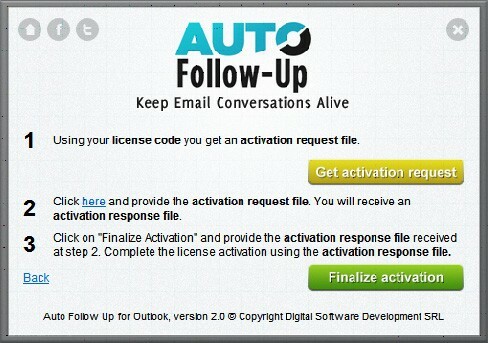 Click on the text link displayed on step #2 of the license window. The link will open a web page on our servers where you have to upload the license file created above. 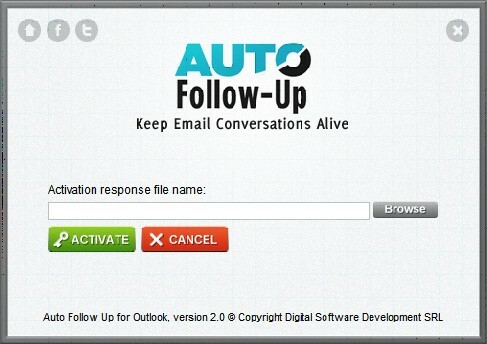 Click on the “Browse” button to load the file, then click on the “Get activation response” button. The web page will generate a license response file – save it to our computer. 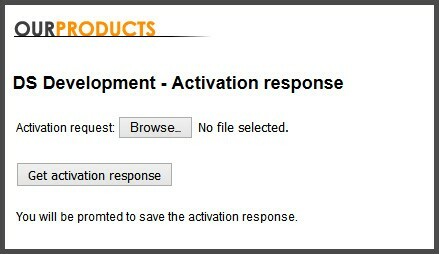 Return to the offline license activation window displayed by our product and click on the “Finalize activation” button. At this step, you need to load the file created at the above step. Click on the “Browse” button to select the file, then click on the “Activate” button. If your license key is valid, the program will activate your license.